Representing the demon Leviathan and the corresponding sin of envy, she is the second eldest of the Stakes of Purgatory, and the self-fashioned representative of the younger sisters to Lucifer. By nature, she is a jealous, selfish crybaby who will do anything to win. Her otherwise brutal personality allows her to easily pinpoint the weaknesses of others. Unfortunately for her, she is clumsy at everything she does and always comes out last at everything she and her sisters do together. 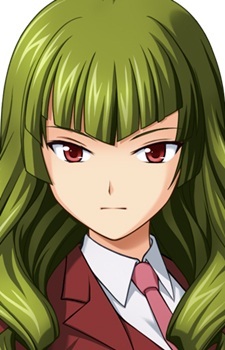 Leviathan's appearance is a girl with wavy, middle-length green hair.